The perfect website solution that helps doctors, dentists and veterinarians accelerate practice growth. As the cornerstone for all digital marketing efforts, your website should create a positive first impression of your practice as it may be the reason people choose – or don’t choose – your practice over competitors. As a health professional, your website must convey your expertise and communicate trust. Providing a great user experience with a professional, mobile-friendly website design that makes it easy for visitors to find the information they’re looking for is essential. ProSites has nearly two decades of experience in helping thousands of professionals grow their practice through effective website design and online marketing solutions. We invite you to view our website design gallery and see why thousands of doctors trust ProSites as their primary marketing firm. A patient’s first impression begins online. Even if patients hear about you via word-of-mouth, over half of them will do research online before contacting your practice. Your dental office website should put your best foot forward, communicate your expertise and establish trust. 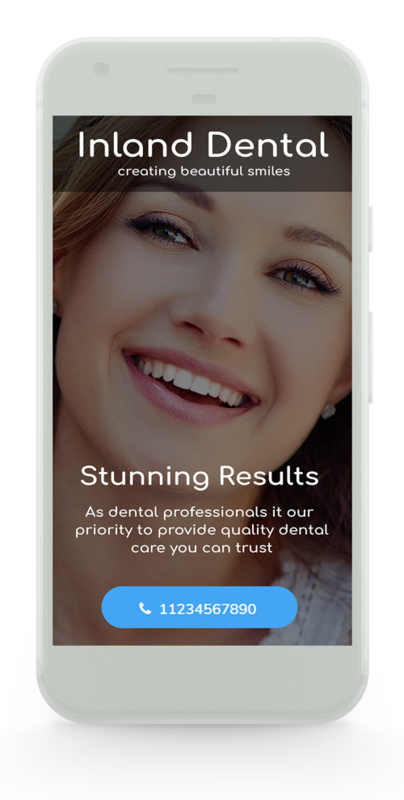 We deliver professional dental website designs that provide a great user experience for current and potential patients, educate with videos and content, offer easy-to-use contact forms, interactive features and tools, and more. With thousands of hours and dollars devoted to specialization, you deserve to put your best foot forward online. 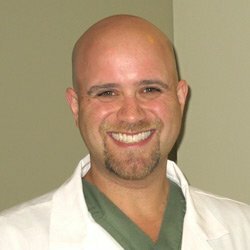 Many prospective patients search the Internet to find the most trusted doctor or surgeon in their area, and a professional website helps convey why they should choose you and your practice. Our team of established designers has decades of experience creating medical websites that impress visitors online and are easy for you and your staff to manage. By delivering a seamless user-experience with responsive website designs, contact forms, educational content and more – a ProSites website is one that you, search engines, and patients will love. Pet owners do more research in seeking out a veterinarian than their own general practitioner, which means it’s critical for your practice to immediately convey a warm, personal touch and build trust online. Whether your veterinary clinic specializes in long-term animal care or medical emergencies, we know that easing the fears and anxieties of pet owners is a priority. 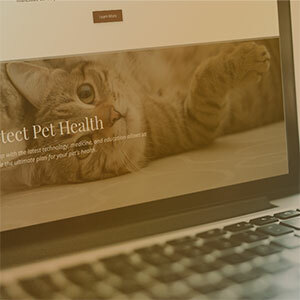 We help you stand out from competitors online and get noticed by pet owners when they search for a veterinarian in your area by creating professional veterinary websites that communicate your expertise and build a sense of warmth and trust. Q: Is your website easily discovered by search engines? The easier it is for search engines to find, the more it will help your rankings on search results. 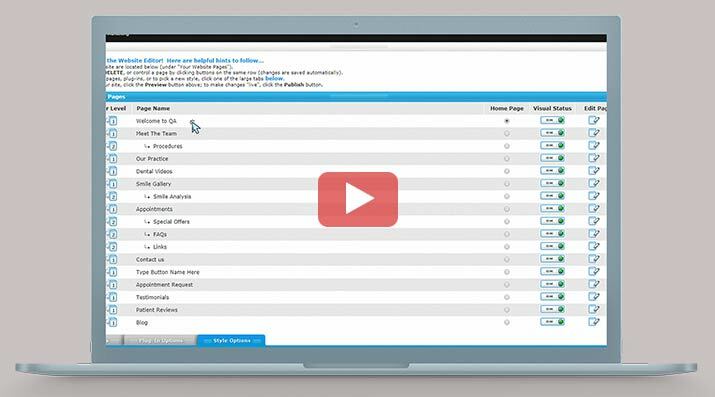 Q: Will people want to click on your website, based on a search engine's results page? The paragraph appearing below each blue link should educate and entice people to know more about your practice, encouraging them to click on your website. Q: Does your website make that all-important great first impression? We ensure that your website clearly explains your services, your credentials, your achievements, and your excellent staff. Q: Does it educate visitors? Make sure it explains the services you offer, procedures, services, and staff. Q: How does your website appear on a mobile phone? If it's distorted or unexplainably cropped, that's a reason to doubt the ability of your website's developer, as you're not getting 100% of their expertise. At ProSites, the presentation of your full site on a mobile phone is not a hit-or-miss situation; rather, it's a must, period. "Must say I'm loving the website. Everyone's complimenting me on it." Complete the form to request a free demo with one of our Internet Marketing Advisors to see why ProSites is trusted by over 7,500 healthcare professionals for their website design and online marketing needs.